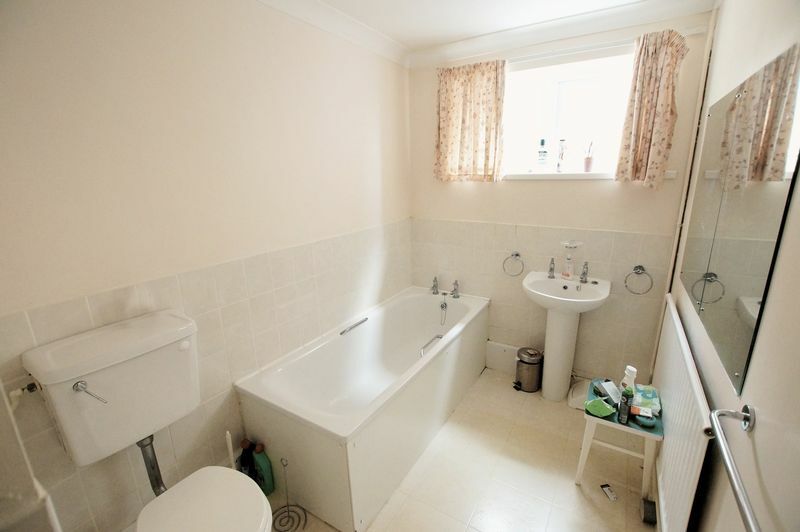 Double glazed window to side elevation, low level WC, wash hand basin inset vanity unit with tiled splash back, coving to textured ceiling, radiator and wood effect laminate flooring. 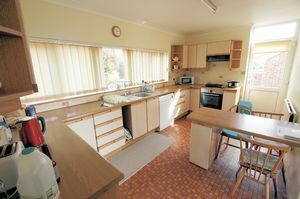 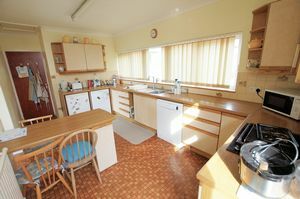 Double glazed window to side elevation and double glazed door with side access to rear garden, range of base and eye level units, roll top work surfaces, one and a half bowl stainless steel sink unit with mixer, tiled splash back, built-in Bosch oven with electric hob and concealed extractor over, space for under counter appliances, space for table and chairs, radiator, coving to textured ceiling and fluorescent strip light. Double glazed window to rear elevation overlooking the garden with stunning views towards Portsmouth Harbour and beyond, radiator, built-wardrobe cupboards and coving to flat ceiling. 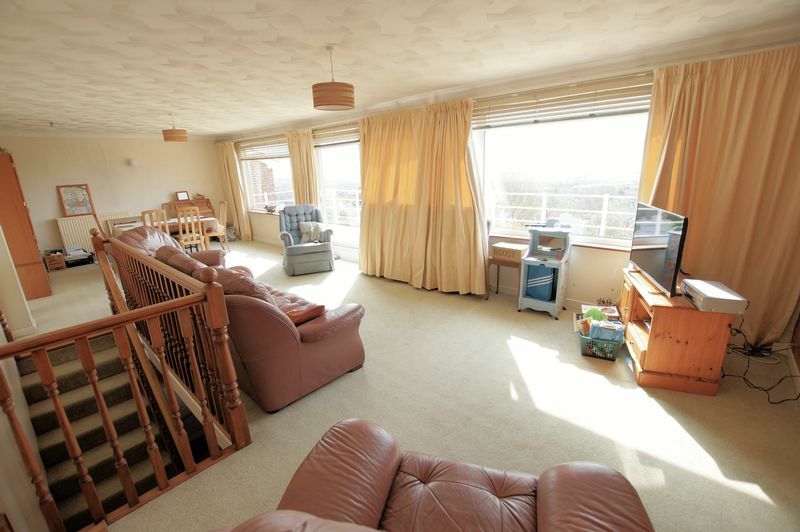 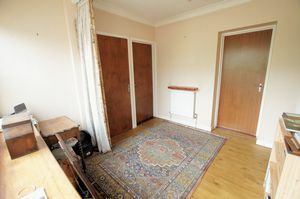 Double glazed window to rear elevation overlooking the garden with stunning views towards Portsmouth Harbour and beyond, built-in wardrobe cupboards, coving to flat ceiling, smoke detector and radiator. 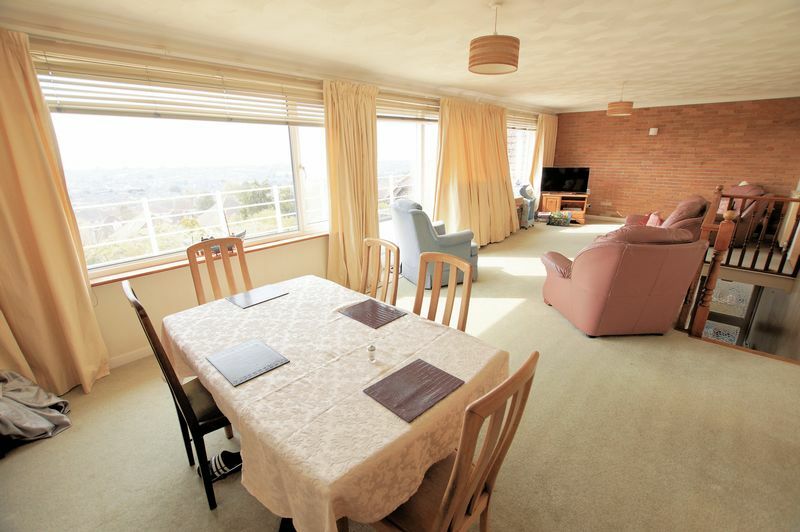 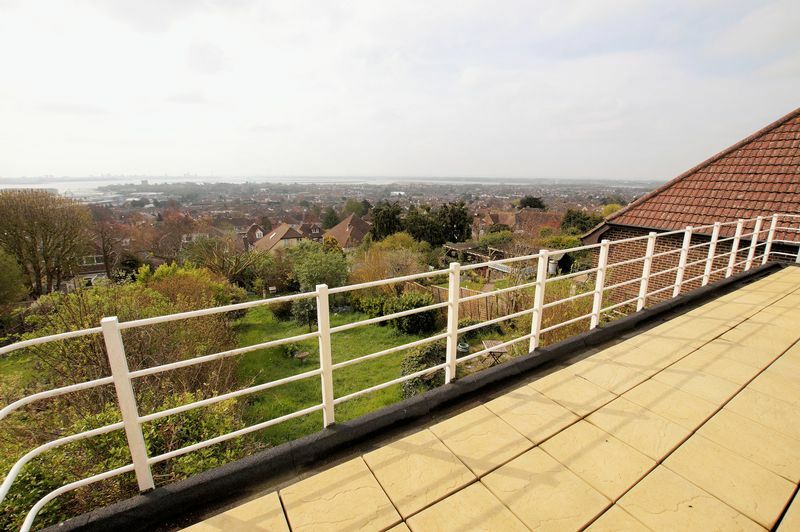 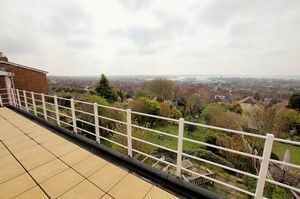 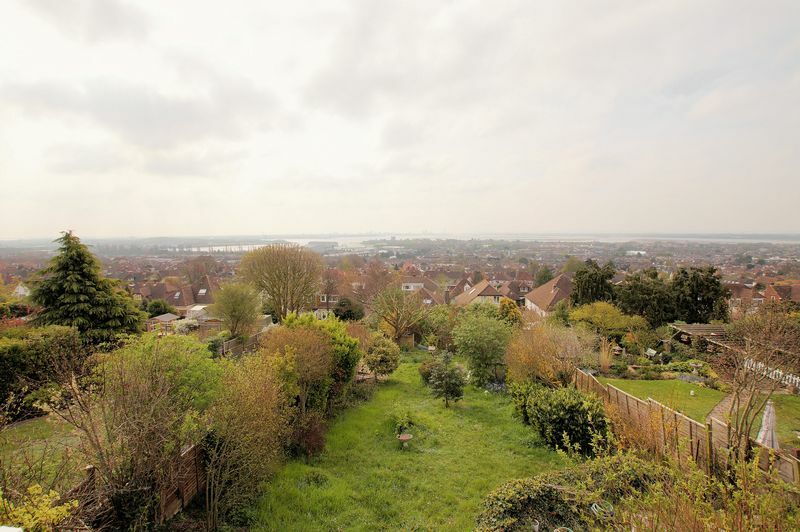 Double glazed window to rear elevation overlooking the garden with stunning views towards Portsmouth Harbour and beyond, flat ceiling and radiator. 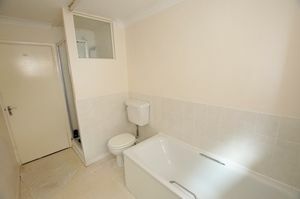 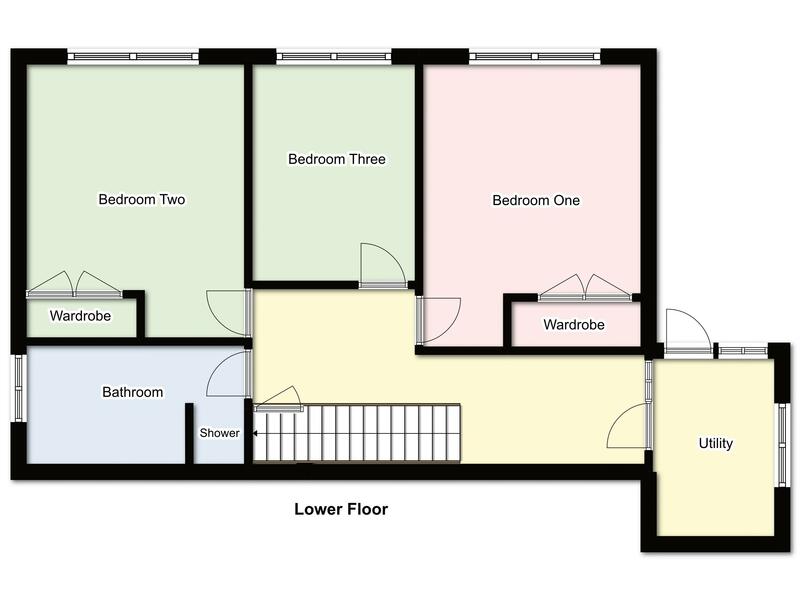 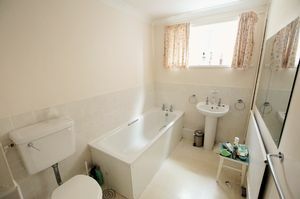 Obscured double glazed window to side elevation, low level WC, pedestal wash hand basin, panelled bath, walk-in tiled shower cubicle, coving to flat ceiling, radiator, partly tiled and wall mounted mirror. 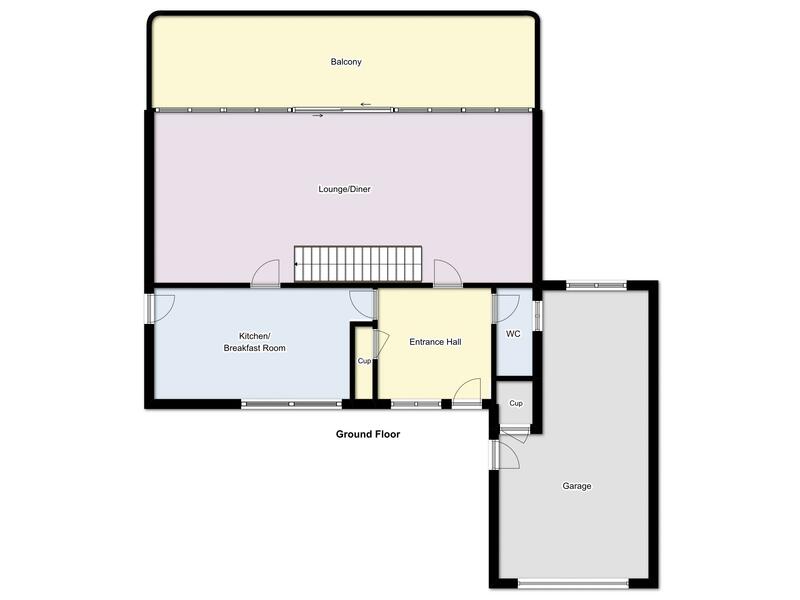 Obscured double glazed window to side elevation, glazed door with matching side panels leading to garden, space and plumbing for washing machine, space for tumble dryer, base and eye level units and roll top work surfaces. 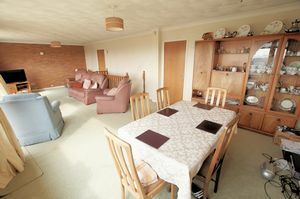 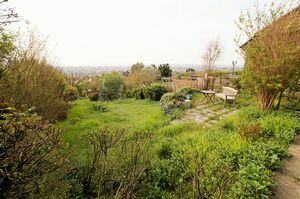 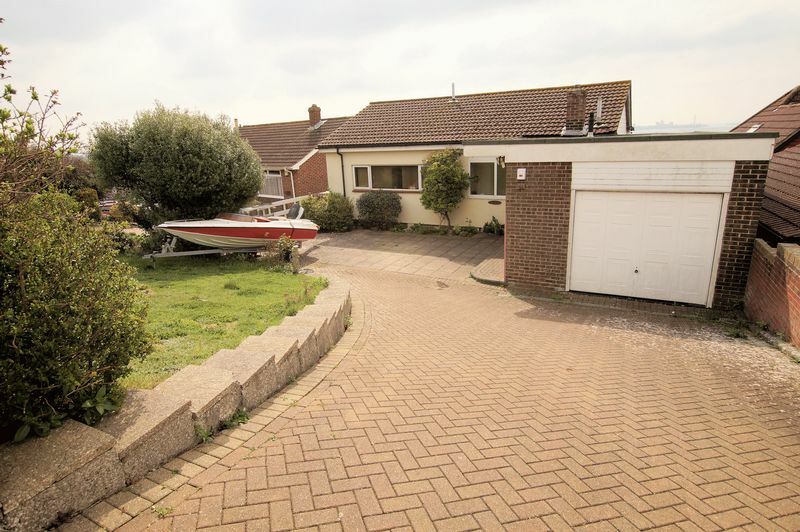 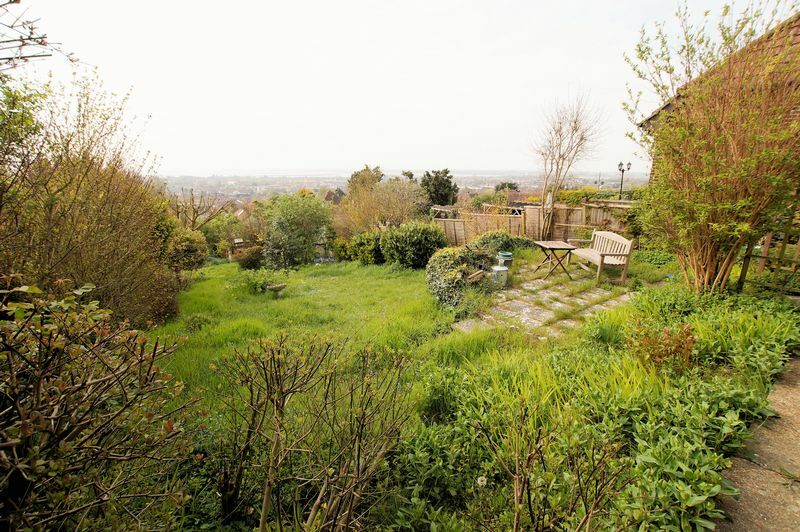 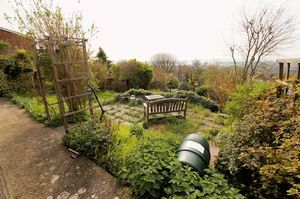 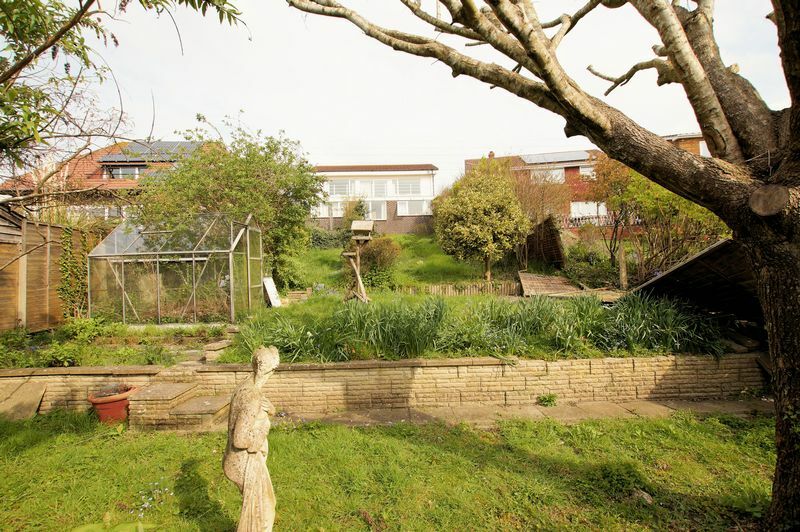 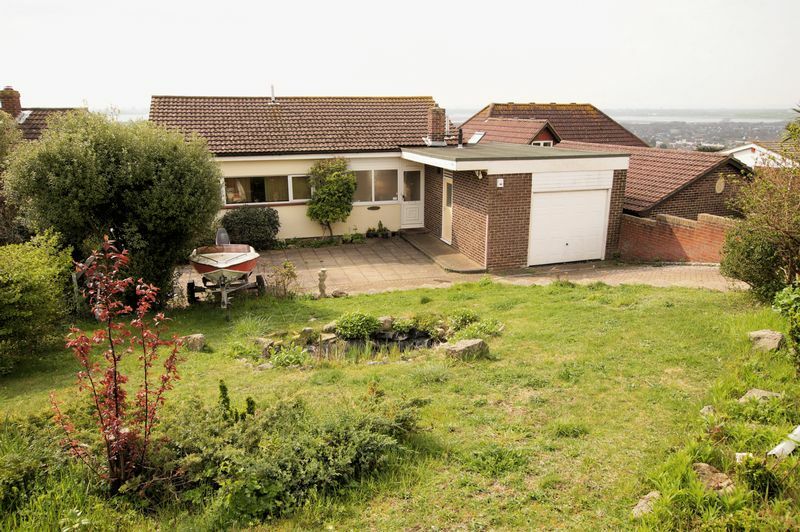 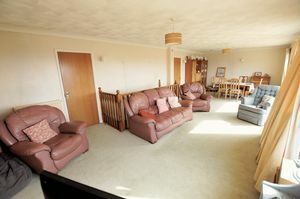 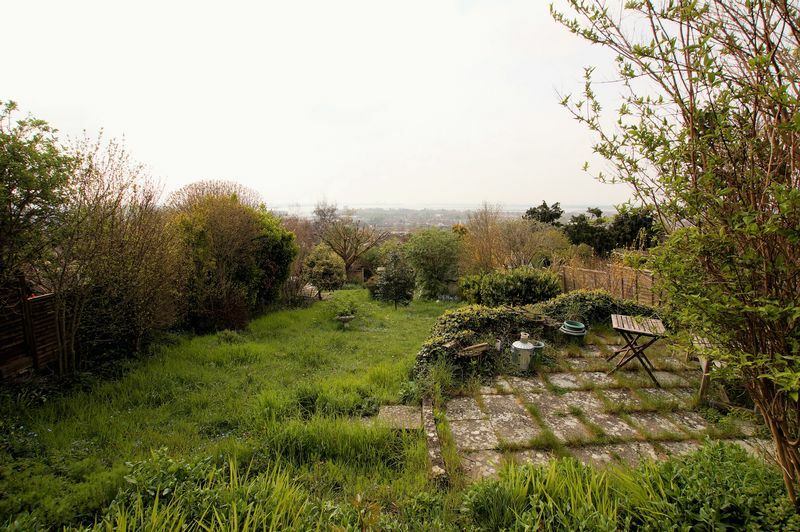 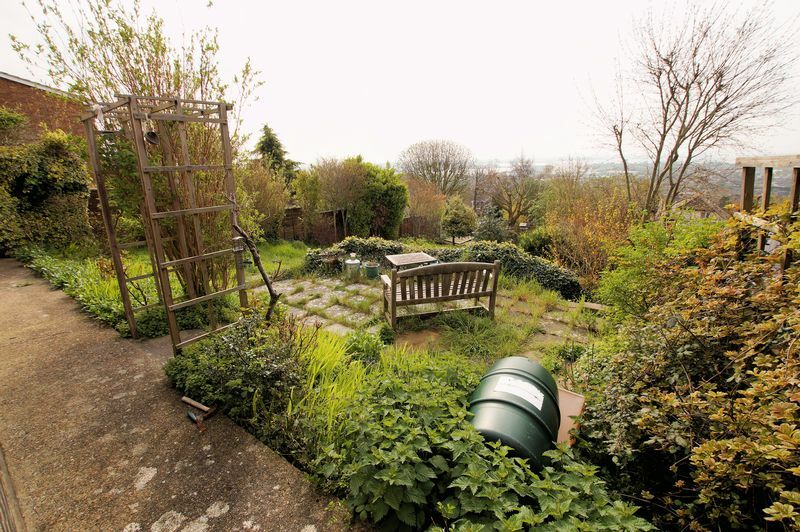 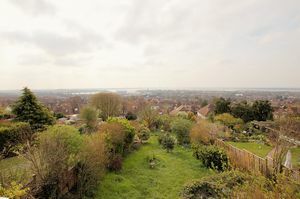 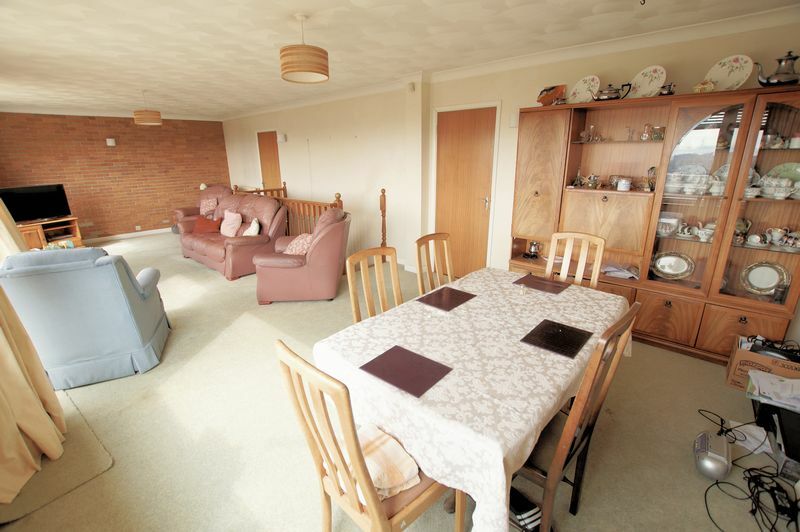 Generous garden in need of cultivation, patio area with space for table and chairs, steps leading down to lawn, greenhouse (to remain) and steps to further extended lawn area, mature shrubs bushes and trees.